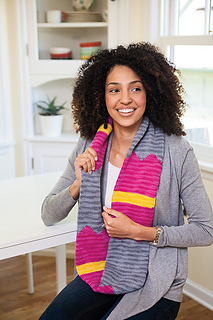 This simple infinity scarf or cowl is knitted in the rounds, very simple pattern of stripes and sections of muted grey and hot pink with a dash of bright yellow, makes a statement. 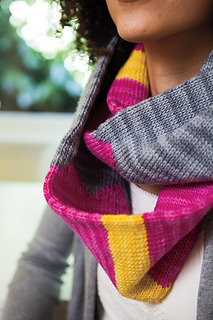 Cowl: 25” (64 cm) long and 6” (15.5 cm) wide. 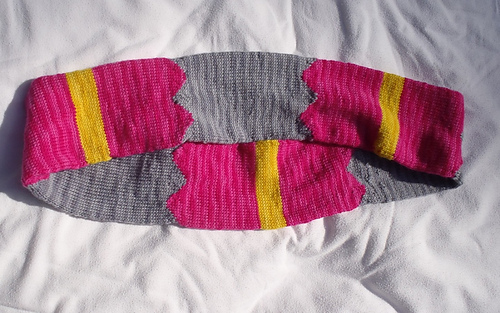 Infinity Scarf: 59.5” (151 cm) long and 6” (15.5 cm) wide.